"Maxi" trolley of the Legler brand, ref 9912. 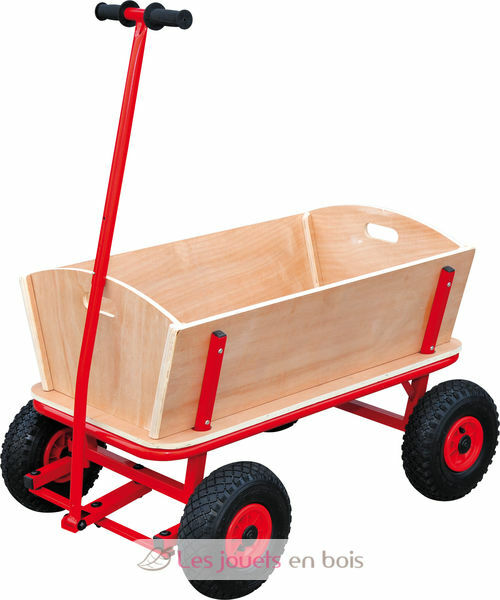 This large wagon carries all that the family or the walkers want to take along long journeys. A solid version in wood and metal with inflatable tires. Weight 80 kg. Wheels: pneumatic.